There is a lot of commitment involved in choosing new equipment and a new team of professionals ensuring that everything functions in a way that you and your team can properly utilize. Options like Z-fold, booklet making, and stapling are out there; will your team be utilizing these options enough to justify the purchase of the accessories needed to perform these tasks? Or do you need it for a temporary project? This may all seem overwhelming, but when you rent your equipment before making any long-term decisions, you negate the need for concern. Renting a copier is great because you know all of your costs upfront, staying within budget is always a concern. Budgets are especially important to new businesses and new business developments. If your equipment begins to malfunction, your copier rental provider will generally work with the end user to ensure that satisfaction is met. Personally, our company will go as far as immediately swapping out equipment that is not working well for our end users. We will even print and deliver any material that was unable to be printed in the event of your printer going down. When choosing a copier rental company, be sure that your agreement includes a guaranteed fast response time. If you plan on working with your copier till later in the evening, verify that your rental provider is aware of your unique needs and is able to facilitate possible after hours service calls. If you do not like the equipment, service, or something else arises; you can cancel with notice. Stuck in a lease? No worries, leave that to us! Yes, rentals does include Supplies, Service, Maintenance AND Support! Also, did you know that there are tax benefits for those that choose to rent? Monthly lease and rental payments are typically deductible as a business expense on your business’s tax return. Savings, like these, help offset the cost of the lease, reducing the overall expense to your company. We hope this post has helped give you some valuable insight about renting office equipment. There are far more industries that utilize this convenient service than most realize. However if your company is still hesitant to rent and chooses to lease, we suggest renting from a service company BEFORE signing a multi-year lease. You have to find the right service provider that will treat your downtime with the attention that your business deserves and requires. Any company that does not respect your need to maintain functionality is going to be a headache to work with and sometimes cause more problems than needed. 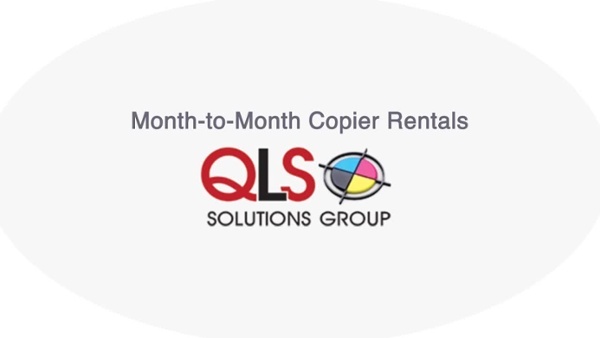 For more information on copier rentals give us a call at (800) 859-2203 or (716) 852-2203 or fill out a form and answer a few questions to help us better serve you. It takes less than a minute and is 100% free. No obligation to rent! What Office Equipment is your Business utilizing? Did you Buy/Lease/Rent? How is it working out for you? We always love hearing experiences from our readers!